PORT OF SPAIN, Trinidad, Oct 7 2014 (IPS) - Relief work done by emergency responders during natural disasters may inadvertently exacerbate problems caused by climate change and lead to further disasters, recent reports suggest. When heavy rains caused nearly 20 million dollars in losses in Diego Martin, western Trinidad, in 2012, emergency responders moved rapidly to provide relief to affected residents, some of whom lost their homes. An estimated 50,000 trees would be needed to offset the carbon emissions from Haiti's discarded tents if they were left in landfills. However, just under two weeks later, Diego Martin was again inundated, this time due to a tropical storm. A newly released report by the Trinidad and Tobago Red Cross Society (TTRCS) raises the possibility that the second flooding may have partly been due to the relief work done by the emergency responders. The report states “after the first flooding incident water supplies were distributed in individual disposable, non-biodegradable vessels such as plastic bottles and food supplies were distributed with plastic utensils. The TTRCS’ report, entitled “Green Response: A Country Study”, was presented by the head of Trinidad and Tobago’s Office of Disaster Preparedness and Management (ODPM) to a recent meeting of the Association of Caribbean States (ACS). Trinidad and Tobago decided to undertake the study following an ACS meeting in 2011 where the issue of greening the region’s responses to natural disasters was raised for consideration. The need for such considerations was particularly evident in Haiti following the 2010 earthquake that took more than 200,000 lives. Apart from reports of cholera being introduced into Haiti by Nepalese peacekeepers who were deployed to help in recovery efforts following the earthquake, there was also the environmental problem created by the distribution of tens of thousands of non-biodegradable tarpaulin tents which needed to be replaced every few months. 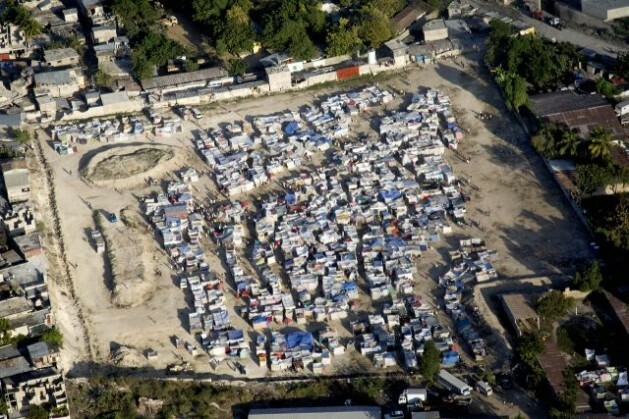 The IFRC Practice Note Report on Haiti notes that 50,000 trees would be needed to offset the carbon emissions from the discarded tents if these were left in landfills. The Trinidad and Tobago government is committed to incorporating climate change and environmental considerations into all its programmes. So when the question of a green response to disaster management came up for consideration at the ACS, the country offered to do the feasibility study for what has been dubbed the Green Response. The ACS has worked with the ODPM, which has lead responsibility for the initiative in the country, the IFRC, and the TTRCS on the study. TTRCS’ Stephan Kishore said greening disaster relief efforts would involve activities such as locally manufacturing and pre-positioning relief supplies, so as to reduce the carbon footprint involved in shipping items from China, where most of the country’s relief supplies now come from. It would also involve simple procedures such as using paper, cloth, or buckets rather than plastic to wrap relief supplies, and wrapping items, like soap, in bulk rather than in individual wrappings. Further, green relief efforts would encourage recycling of items and use of solar energy rather than fossil fuels. But introducing legislation that would green disaster relief efforts will not be easy, Kishore said. “To get legislation passed for any response is very difficult. The whole process of getting legislation is very difficult,” he said. Further complicating matters, Nicholson said, is that the ACS’ members states operate under several different legislative frameworks since the countries include Dutch, French, Spanish, and English-speaking countries with different legal traditions. With the feasibility study phase complete, the next stage of the Green Response is to identify or develop green disaster response processes and products from the region, which may include encouraging local manufacturers to begin producing recyclable items that can be used during a natural disaster.